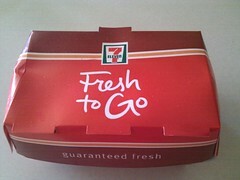 I don't usually visit the 7 Eleven and was surprised when BzzAgent gave me the chance to try something new that 7 Eleven was selling chicken wings. 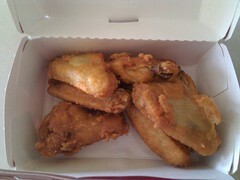 THE coupon i got from Bzzagent would give me 6 pieces of chicken wings FREE. The first 7 Eleven we visited did not have the wings. The next one a couple of miles down the road had one and the owner was happy to give me the spicy flavored wings. They are usually available in three bold, flavorful varieties (traditional breaded and spicy-flavored Wing-Zings®, Asian-style sweet and sour Dragon-Wings® and zesty BBQ wings), 7-Eleven® Chicken Wing. We liked the wings and also the price if you wrre buying them seems reasonable Baked fresh in the in-store oven and just 50¢ per wing, or 6 for $2.99, 12 for $5.79 or 24 for $9.99.